KEY WEST STYLE HOME ON THE WATER IN PASCO COUNTY. A Boaters Paradise. Eclectic Key West decor inside and out brought to life with an artists touch. Bright beach artist colors and theme. Truly one of a kind.Well thought out design offers indoor/outdoor lifestyle around the free form lagoon style pool. Enjoy blue skies and starry nights Key West style. Large sports and game room with a dry bar is adjacent to the pool and expands the entertainment area. Two master suits. #1 suite is downstairs with custom built in dressers and wardrobes all around. Must see to appreciate. A dedicated screened Jacuzzi room overlooks the water. #2 suite occupies the entire upstairs and is approximately 21x17 with a huge bathroom and walk-in closet. This suite overlooks the pool from its large balcony. Winding staircase leads to the pool. 3rd BR is downstairs. 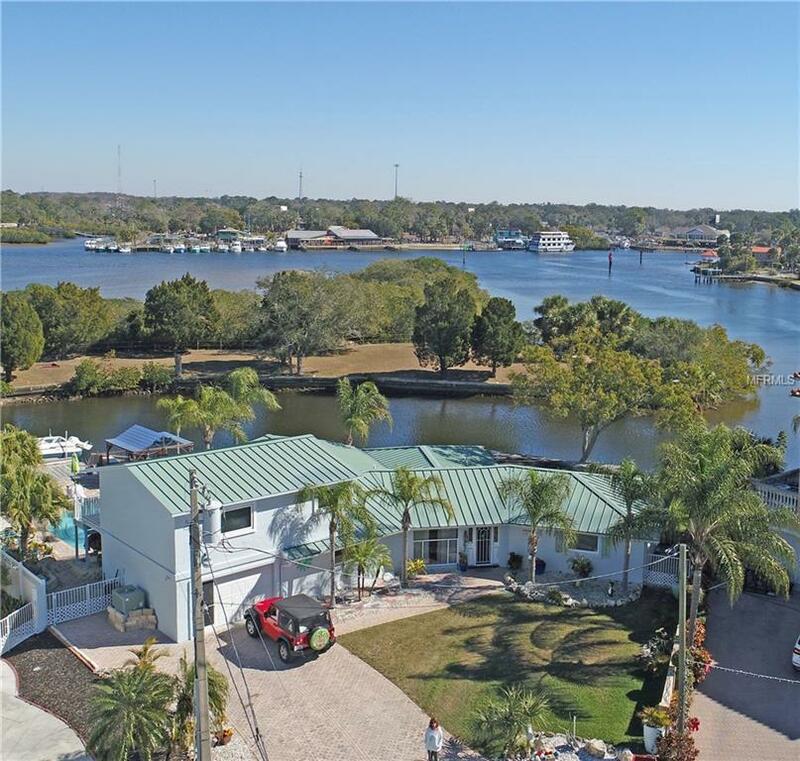 Double pane windows, metal roof, expansive living room, top of the line cooks kitchen, 1 floating Dock, 1 stationary dock, boat lift , sundeck, covered dining area outside. This home sits on the point of Millers Bayou and Pithlacoochie River with direct access to the Gulf of Mexico.